Holyrood PR is in the running for hat trick of UK-wide accolades for its outstanding PR services, after being nominated for three Fresh Awards. Set up to recognise the work of individuals and agencies in Creative, Digital, Media and PR, the honours reward the freshest campaigns and communication in a range of categories. The Edinburgh-based PR agency has been shortlisted in two categories for its eye catching work promoting its clients: Freshest Low Budget Campaign (two nominations) and Freshest Media Relations Campaign. The prestigious nominations come just weeks after Holyrood PR received seven short listings in the Chartered Institute of Public Relations (CIPR) Scotland PRide Awards. Now the nine-strong team hope to eclipse the impressive haul of silverware earned last year, when Holyrood PR landed two gold awards and a silver from five nominations. Raymond Notarangelo, co-founder of the Scottish public relations agency, said: “This is a great achievement for Holyrood PR, because the Fresh Awards cover the whole of the UK and have become a benchmark for the PR sector. “It’s brilliant to see the industry-leading work we do being recognised beyond Scotland. 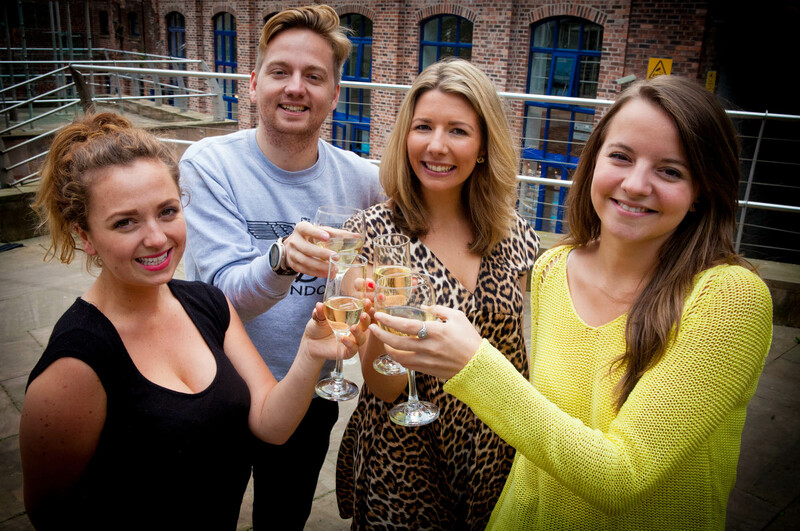 “Across both the Fresh and CIPR awards we now have a total of 10 nominations. That is because we deliver real, business results that make a positive impact on the bottom line for our clients. Led by ex-journalists, Holyrood PR uses words, photos and video across traditional and online media to help its clients get their positive stories in front of new and existing customers, investors and potential staff. The award ceremony for the Fresh PR Awards will be held on Thursday, October 30 at the Deansgate Hilton Hotel in Manchester. The awards will be judged by a group of top PR moguls from some of the top media companies within the UK including IPC Media and Frank PR. In August, Holyrood PR was shortlisted for seven separate awards including Best Use of Media Relations and Best Sporting Campaign at the 2014 CIPR Scotland PRide Awards. The winners will be announced on the October 9 at a glittering Awards dinner in Edinburgh’s Assembly Rooms.